Fans of Archer, Bob’s Burgers or just H. Jon Benjamin will be very pleased. As an Archer fan I’m really looking forward to this. 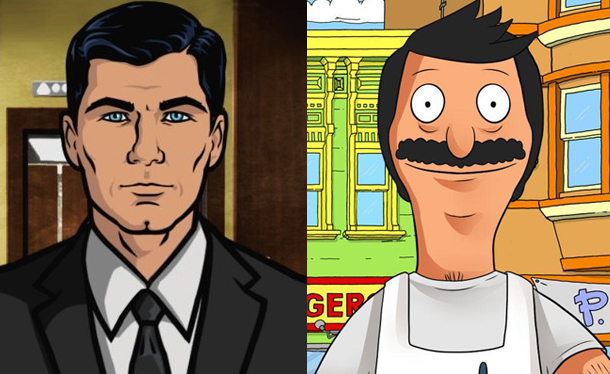 The team behind Archer has produced a crossover episode–airing in Archer’s next season–in which Benjamin will voice both ISIS agent Sterling Archer and grill master Bob Belcher. It’s like a Bourne Identity-type plotline. It starts off with Archer as Bob, making hamburgers, but he doesn’t know that he’s Archer. He’s at the restaurant and these, like, I think Russian thugs come in, and Bob dispatches them expertly. And then he’s like, What just happened? How did I do that? So he has to try to figure out why he’s so good at killing people. Apparently Adam Reed (creator of Archer–and other Adult Swim faves) is a big fan of Bob’s Burgers and was behind getting this episode produced. So long as the whole thing doesn’t end with Benjamin suddenly waking up from a dream and finding himself in his van, I’m definitely down with it. Now all I need is a date from FX on the start of Archer’s fourth season! Bob’s Burgers is still on? There is so much of the universe that I still don’t understand.